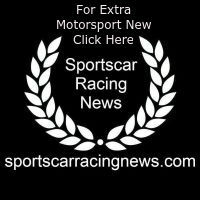 Eighteen-year-old Trenton Estep kicked off his second Porsche GT3 Cup Challenge USA by Yokohama season in the best possible way on Thursday afternoon at Sebring International Raceway, picking up his third career victory in the series in the season opener. Driving the No. 3 JDX Racing Porsche 911 GT3 Cup Platinum Cup machine, Estep fought past polesitter and early race leader Roman De Angelis in the No. 1 Kelly-Moss Road and Race Porsche with slightly more than 26 minutes remaining in the 45-minute race in a thrilling, side-by-side battle that began in Turn 10 on the 3.74-mile circuit and ended in Turn 13 with Estep at the head of the field. A full-course caution for an incident in Turn 17, involving the No. 35 Ultra 94 Porsche GT3 Cup Challenge Canada entry of Nelson Mason, bunched up the field just past the halfway point in the race, gave De Angelis another shot at Estep. However, the JDX driver was able to keep him at bay on the ensuing restart and for the remainder of the race to win by 2.227 seconds over De Angelis. De Angelis – who is competing in both the GT3 Cup Challenge USA and GT3 Cup Challenge Canada series full-time this season – came away with second-place points after leading the first eight laps of what would be a 20-lap race before time expired. It was the 17-year-old Canadian’s first Platinum Cup start after winning the Gold Cup title in the 2017 Porsche GT3 Cup Challenge USA season. 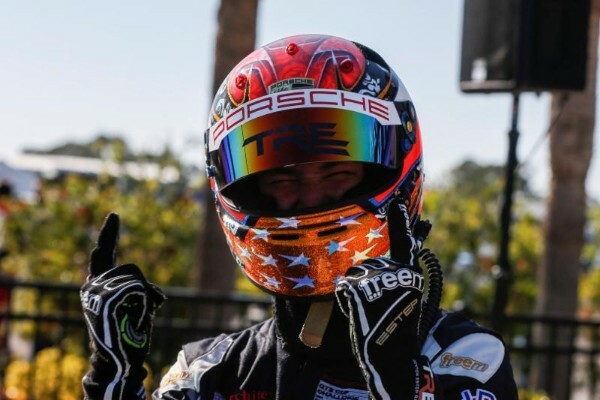 Max Root, the 2018 recipient of the IMSA-Hurley Haywood GT3 Scholarship, took the final spot on the GT3 Cup Challenge USA Platinum Cup podium in the No. 7 Wright Motorsports entry. Root took the spot when German driver David Kolkmann pulled off course on the final lap of the race in the No. 71 Park Place Motorsports machine. In GT3 Cup Challenge USA Gold Cup competition for Porsche 911 GT3 Cup machines built between 2014 and 2016, Victor Gomez scored a dominating victory in the No. 25 NGT Motorsport entry after starting from the class pole position. Gomez won by 14.641 seconds over Kurt Fazekas in the No. 52 Kelly-Moss Road and Race entry. Rob Ferriol finished third in Gold Cup aboard the No. 5 TPC Racing entry. Another TPC Racing driver, Michael Levitas, took the GT3 Cup Platinum Masters victory in the No. 36 Porsche ahead of Mark Kvamme in the No. 43 JDC Racing machine and Fred Poordad in the No. 20 Wright Motorsports Porsche. “It took a really great car (to win),” Levitas said. “TPC Racing has been really working hard in the offseason. We started with a Gold car, we kind of lost our way a little bit with the platform, and we’ve really started to come back with some great cars. Will Hardeman drove the No. 19 Moorespeed Porsche to the Yokohama Hard Charger Award in Round 1, improving from a 12th-place overall starting position to finish sixth overall in the race.